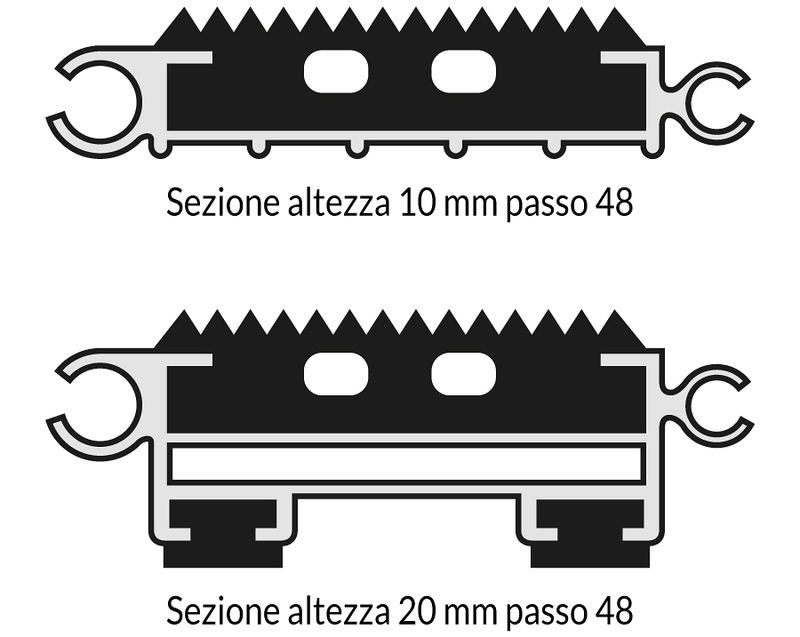 Tappeti tecnici STARGATE® a doghe di alluminio incernierate fra loro, con diversi rivestimenti combinabili fra loro per dare una risposta professionale ad ogni necessità di pulizia, con un'ampia gamma di colori sempre realmente disponibili, senza variazioni di prezzo o di tempistica. 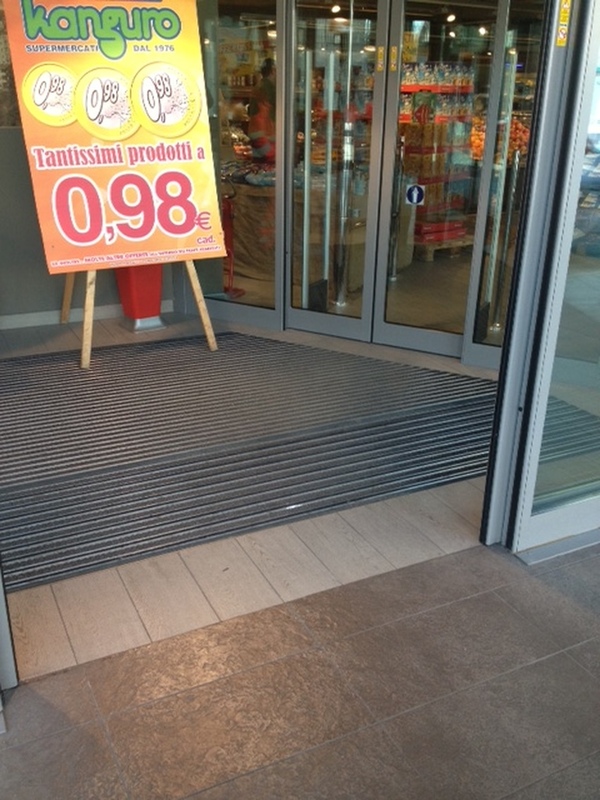 Da incassare nel pavimento o appoggiare sopra, in tutte le forme e variazioni di applicazione pratica. 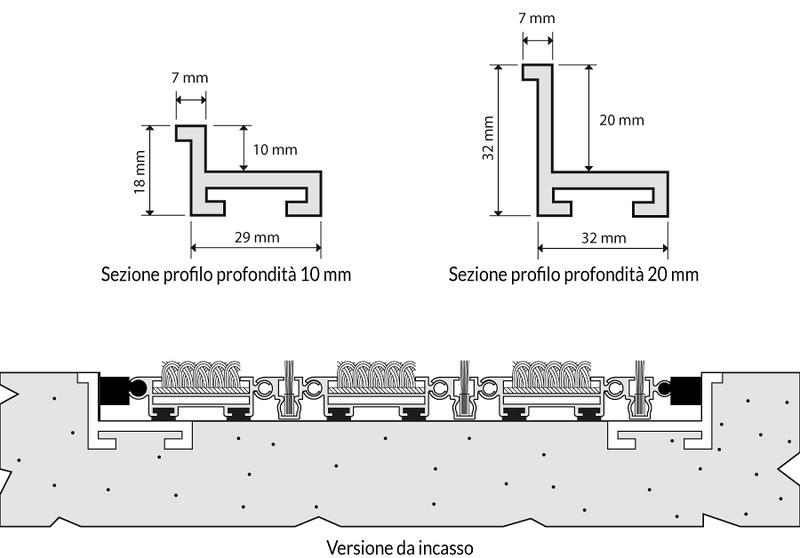 Prodotti tecnici che, alla praticità e all'efficacia, uniscono una pregevole estetica da complementi d'arredo. 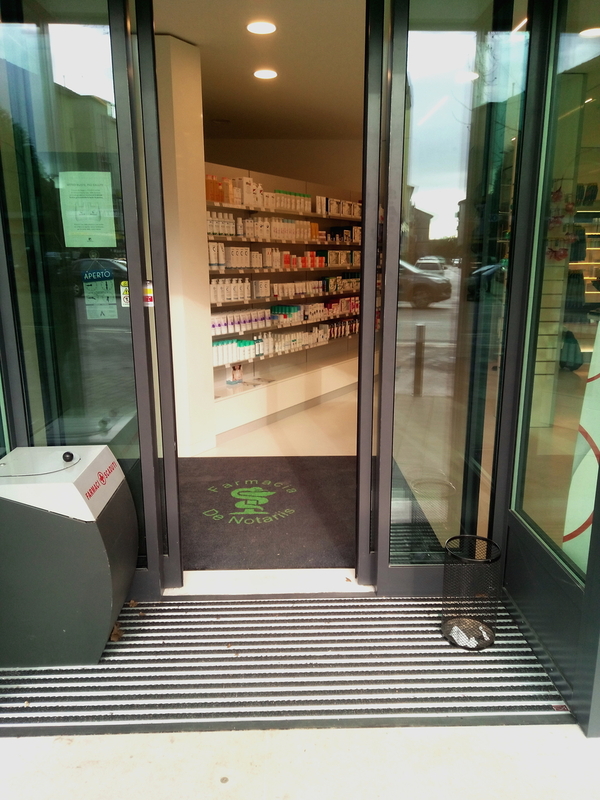 The dirt prevention system STARGATE consists of entrance mats with aluminium bars covered with different materials that can be combined among them in order to give a professional solution to any cleaning need. 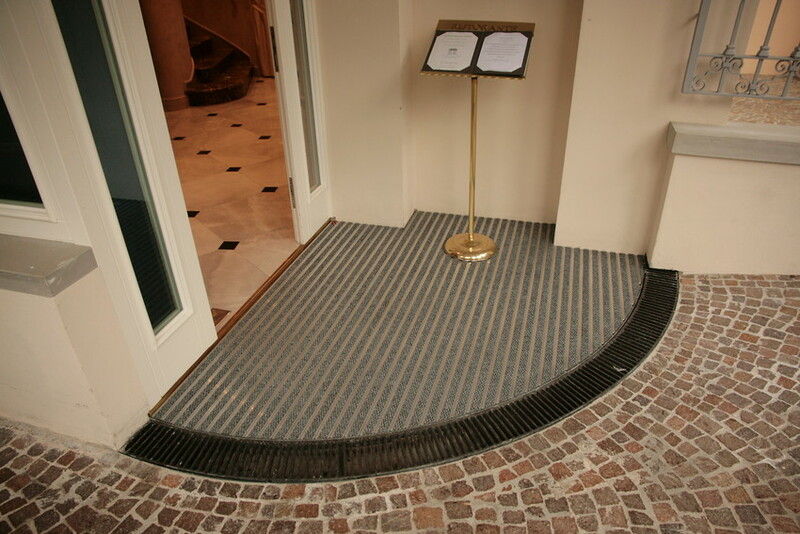 Entrance mats sized and produced for many different needs: communities, offices, hotels, restaurants, plants, up to private houses and flats. STARGATE can be also shaped for special locations. 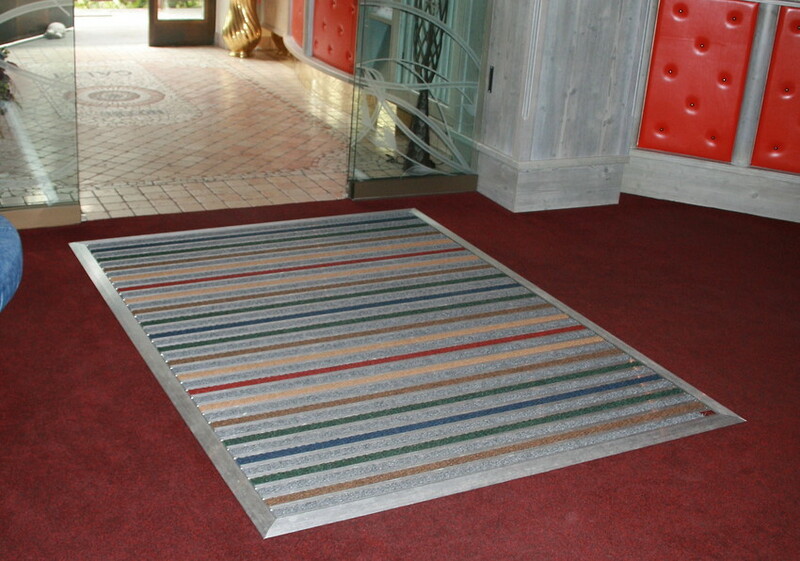 Technical mats STARGATE® meet efficacy and fine aesthetic of furnishing, thanks to the wide range of colors and coverings, even combined among them, all always available. No compromise between looking and funcionality. 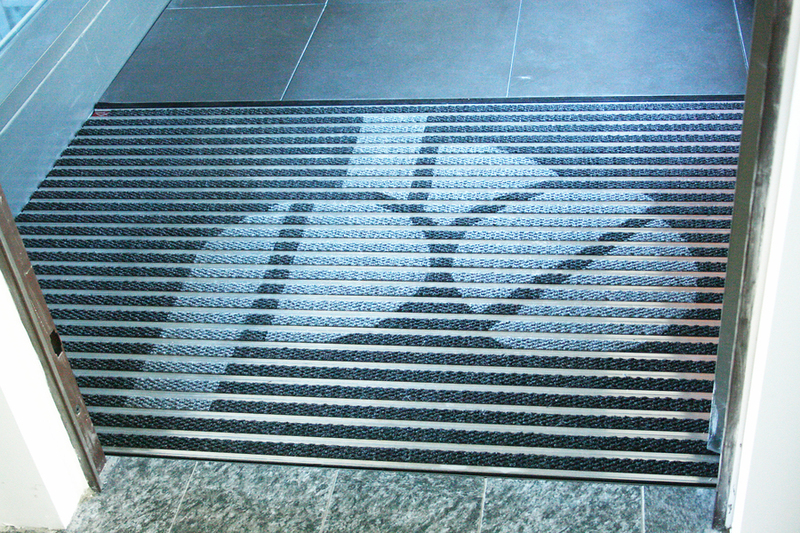 STARGATE® mats are produced 20 mm & 10 mm thick, enough to afford any cleaning and location needs. 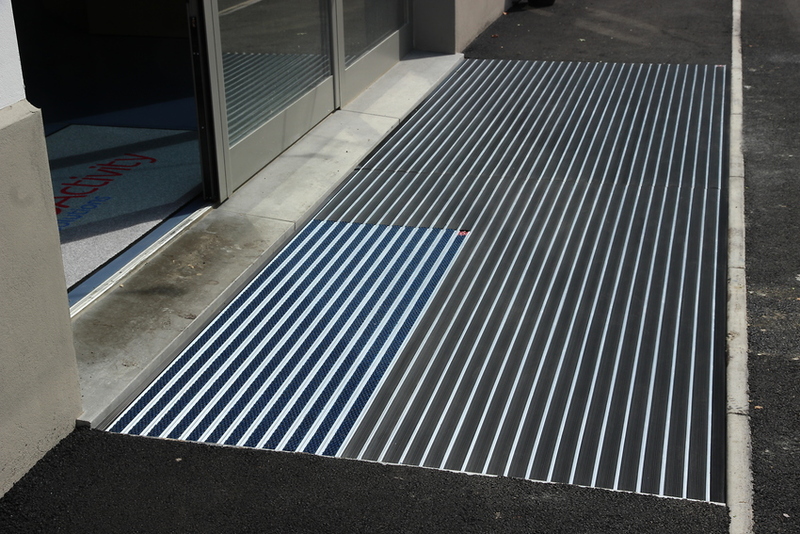 The 20 mm version is heavy duty for strong traffic, no-noise & no-vibrations thanks to rubber feet, and even able to resist to cars, transpallets and light forklifts. 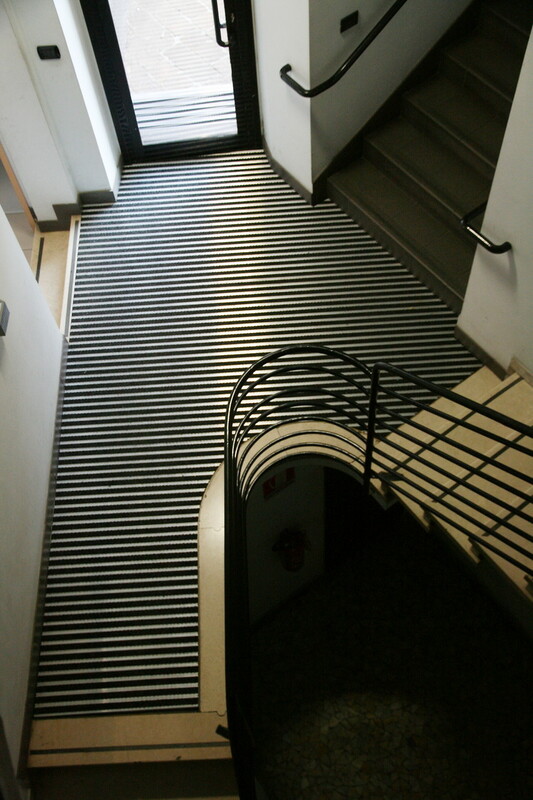 The 10 mm can fit light traffic, can be recessed using the tiles thickness, without any neeed to rework the previous floor, very funcional spec during restoration works with tiles glued or floating parquet over the old surface. Note: both are using the same high quality coverings. 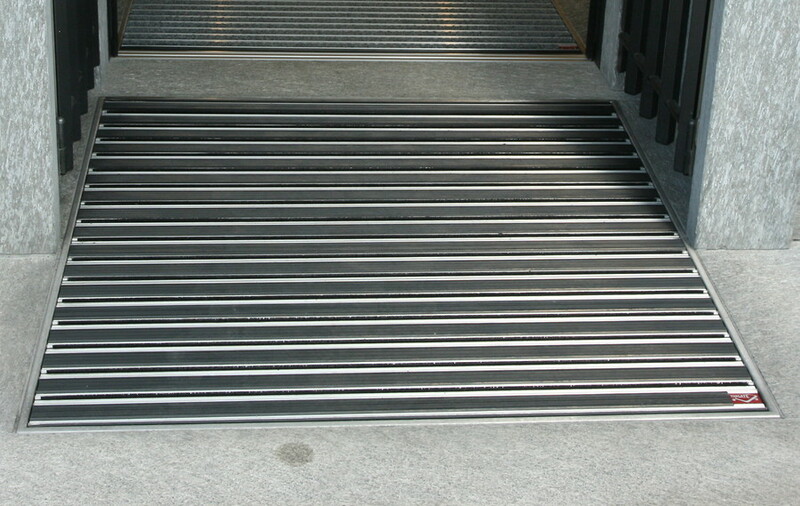 Extruded aluminium bars constituting the frame of STARGATE elements are marked by high mechanical resistance allowing to support heavy duty traffic, shopping cart included, for very long time. 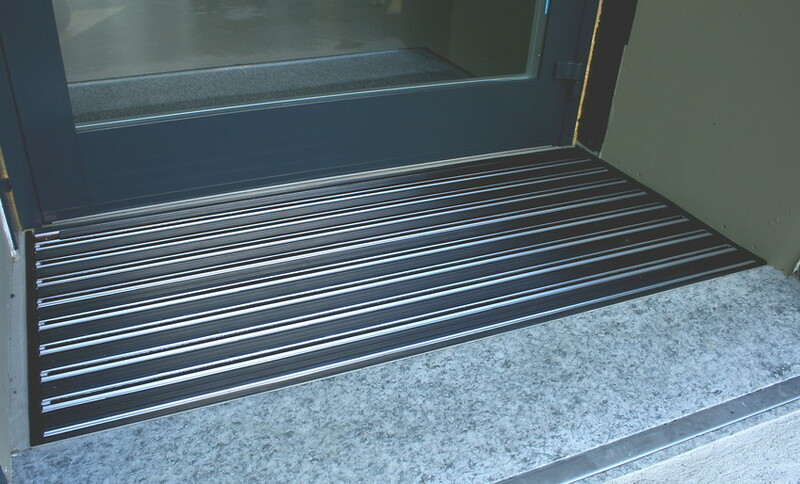 In addition, the special closed joint between elements links them with two precise purposes : first, generates grooves where dirt removed from shoes can be collected, avoiding unhygienic accumulations below the mat and allowing easy and effective daily cleaning, assuring high hygiene level; second, high level resistance of each single element synergically joint with other elements reaches high general strength, scoring the most resistant mat frame on the market. 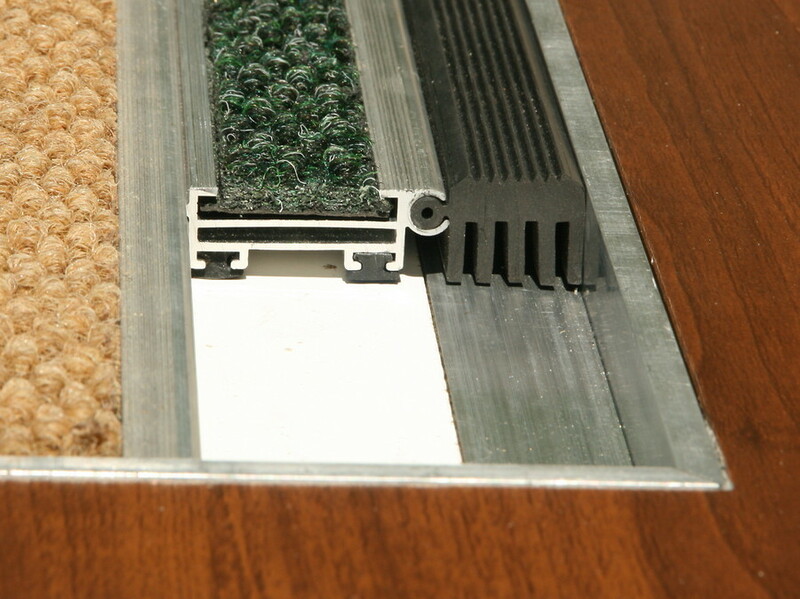 Operational flexibility on the field: joint modular frame allows to operate even on finished mat to carry out modifications due to unforeseen field problems ; to slip off a module in order to eliminate or modify it is a simple operation easy with normal syte tools; needing to add a module requires a phone call to order only. 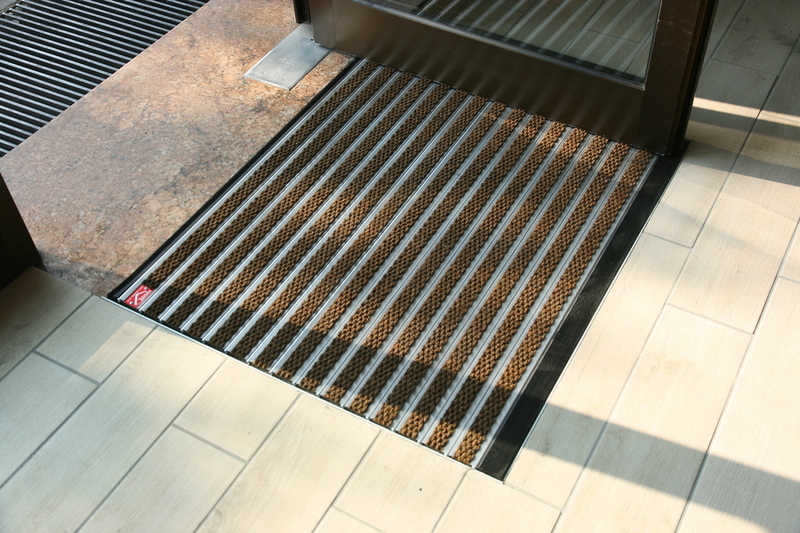 The closed structure of STARGATE® bars doesn't allow to cumulate dirt below the mat, as there is no celarance between bars. 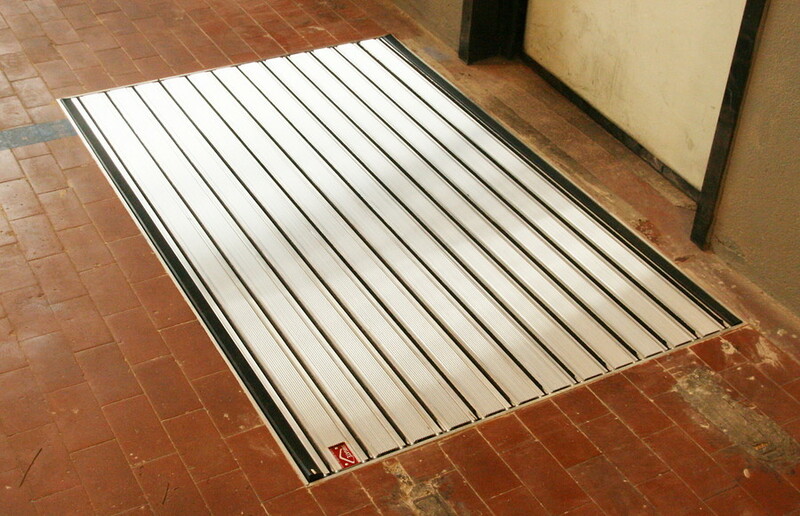 To restore the original hygienic situation is very easy: it's enogh to remove dirt by grooves over the mat by using normal ceaning devices, form vacuum clenaer to floor washing machines. Anyway to pull up the mat is always possible, just rolling it up wiathou efforts; relocation inside recess is simply to roll down. 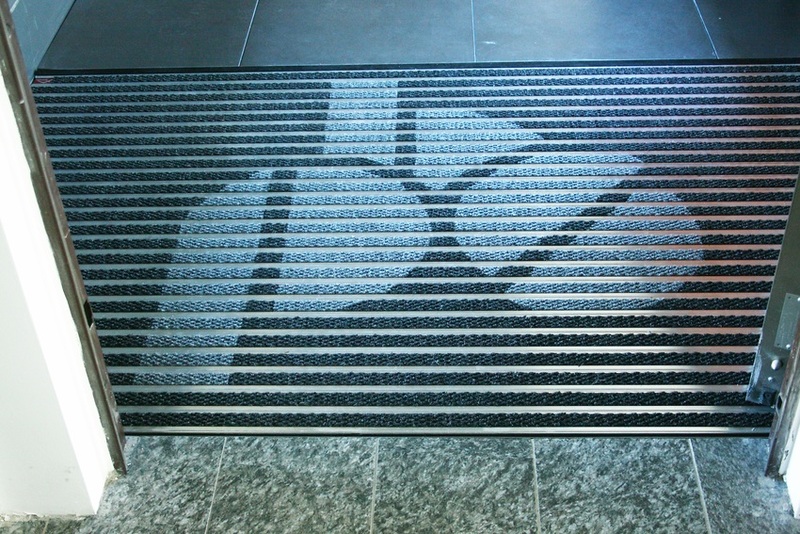 No more discussions with cleaning personnel about mat cleaning. 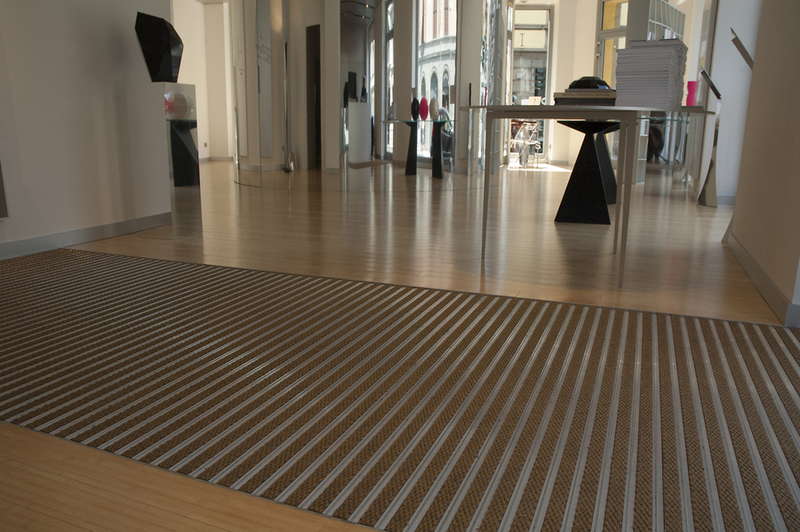 The total absence of clearance among bars assures to STARGATE® an high safety level, even to nail shoes .It's always easy to cross for anyone who needs support for moving, from stick to wheelchair, without any obstacle. 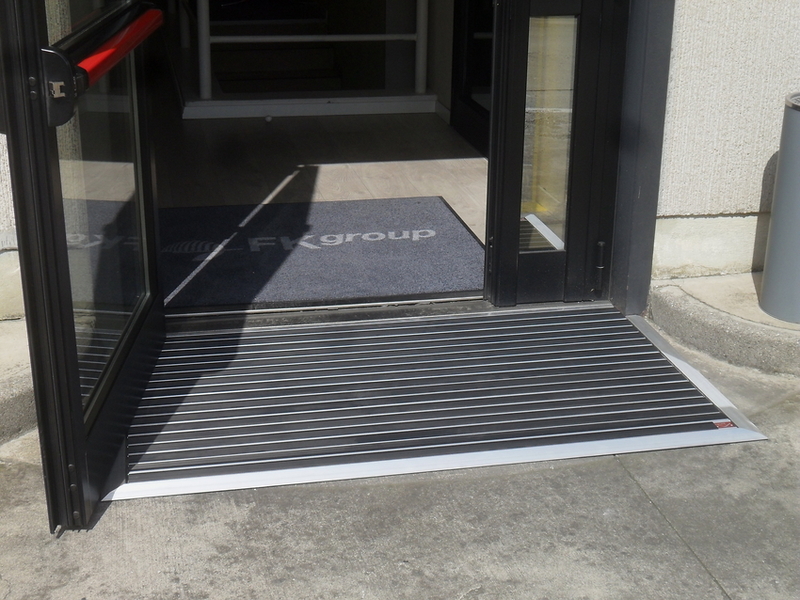 Our ramps solution is often requested when a smll door step must be eliminated in pubblic environment. 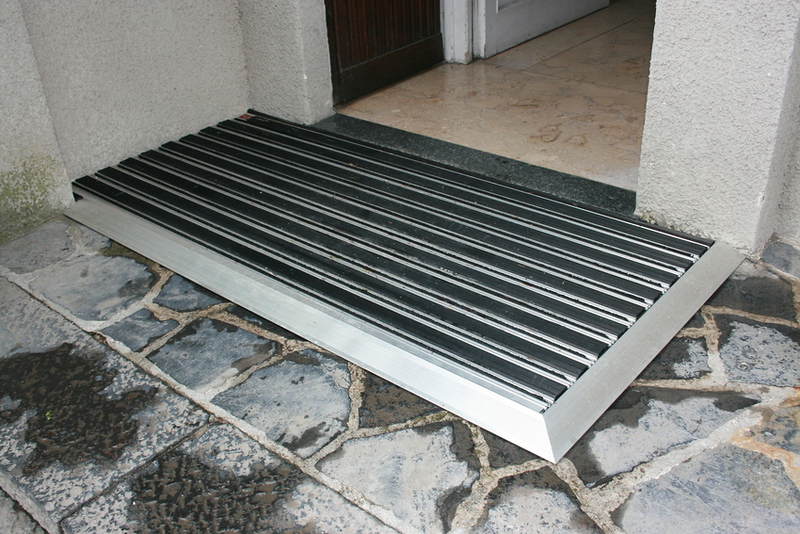 STARGATE® can also be placed on disabled ramps or used to cancel small obstacles. 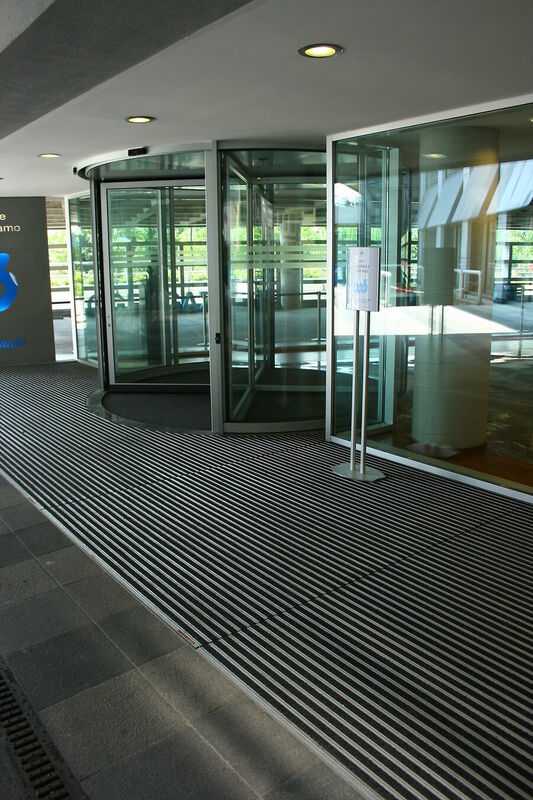 Cleaning efficacy and easy maintenance typical of STARGATE mat reduce strongly cleaning costs of inner rooms and protect the most delicate floors by expensive periodical maintenance. 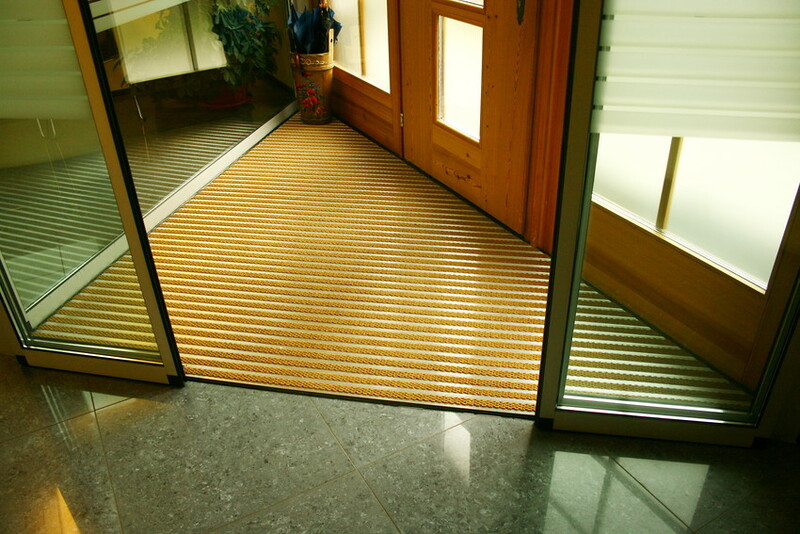 You will save money also on routine cleaning, as the technical soltion with coninuous hinge do not request to roll up the mat for cleaning below (often heavy and complicated activity). 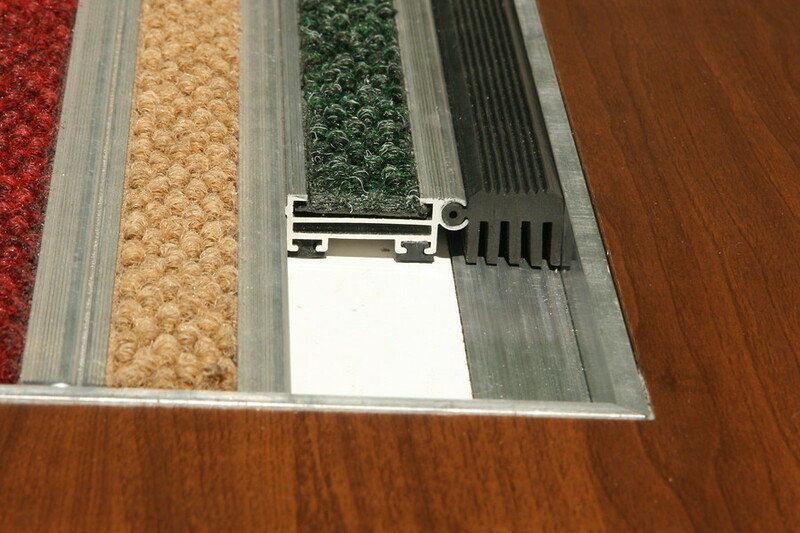 The close structure doesn't allow dirt to grow below or become stuck into bar clearance as it happens with other mats. 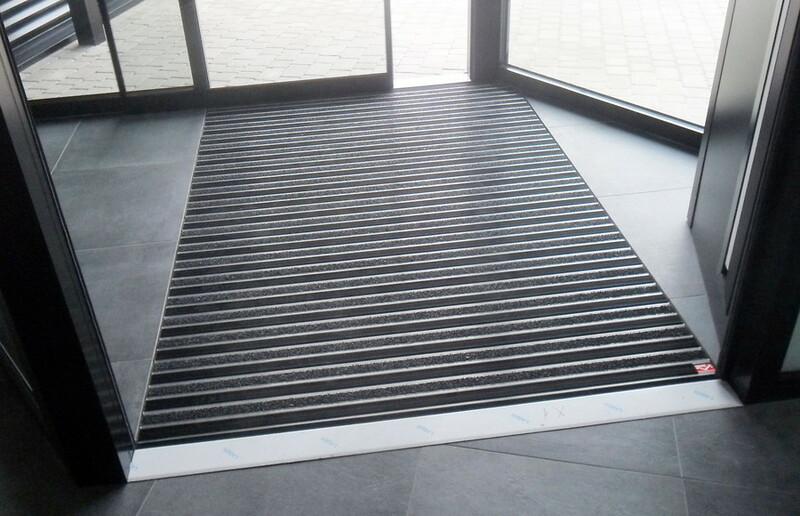 As you have cleaned the upper surface with vacuum cleaner you have the original efficacy of the barrier to dirt, without rolling or repositionig of the mat. 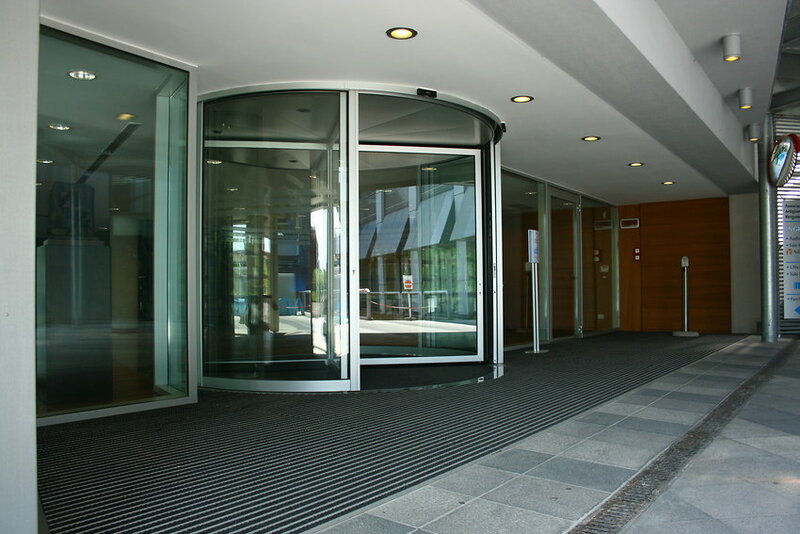 Damages to coverings can be faced with quick repalcement of damaged insert without use of glue to be removed and replaced. 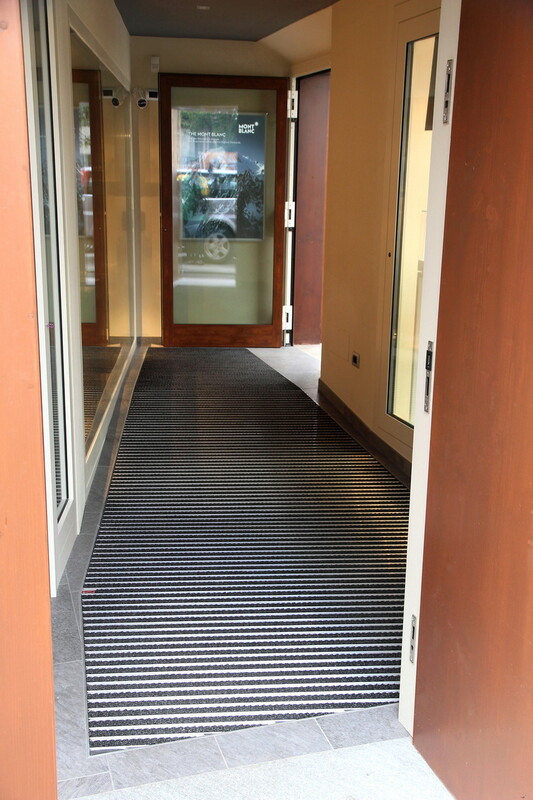 Anyway this is a remote case as high quality and strength of our coverings allow the use of any detergent. 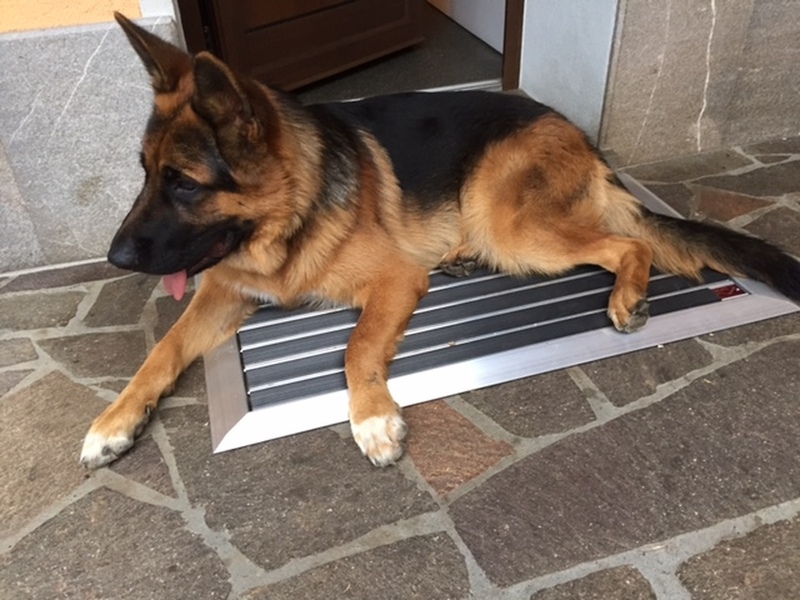 Do you have a dog gnawing your mat? Let it try with this one! 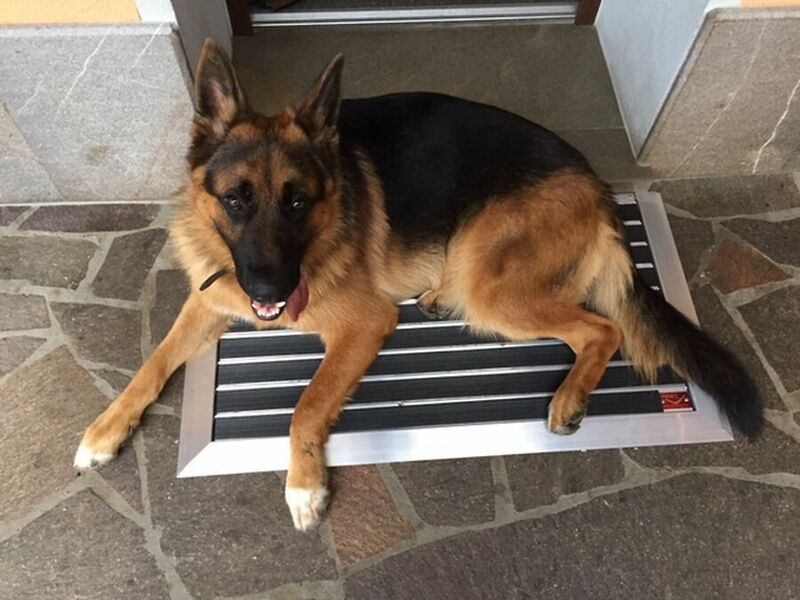 Finally with STARGATE® you will have a nice and effective mat, long lasting, a mate-mat for you four legs friend! 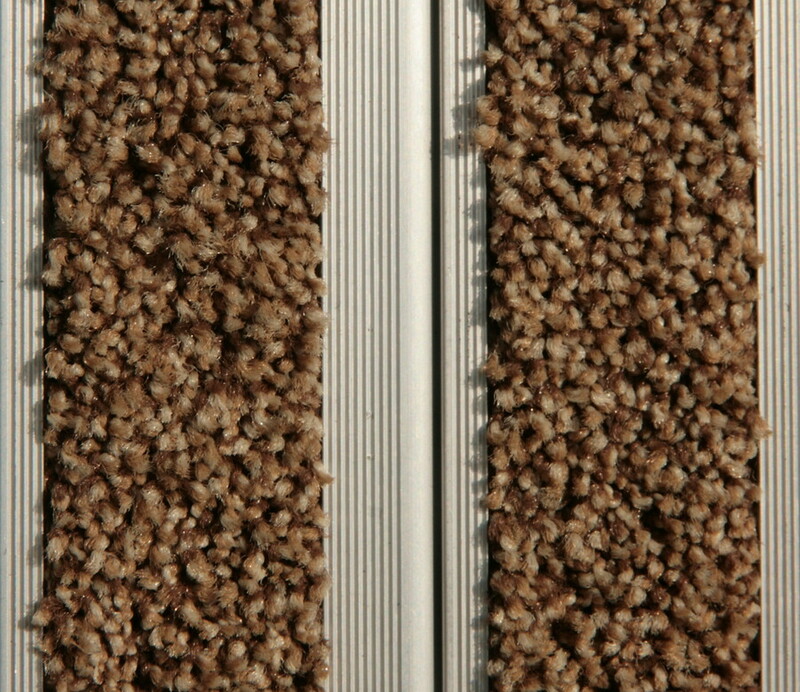 Inserts made of strong and elegant course grain moquette, with high power pf dirt abrasion and efficacy in drying. 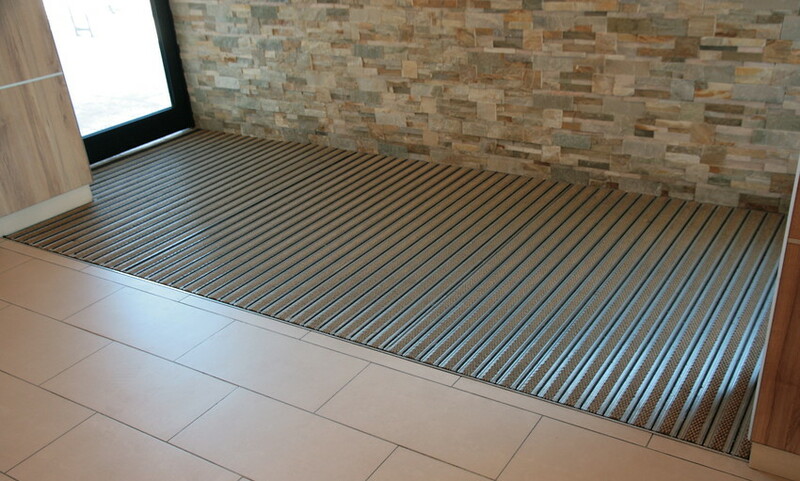 The relevant features of wearing resistance and pressing make it a mall-proof mat, at the highest levels of the market. Very nice and practicproduct for every purpose. 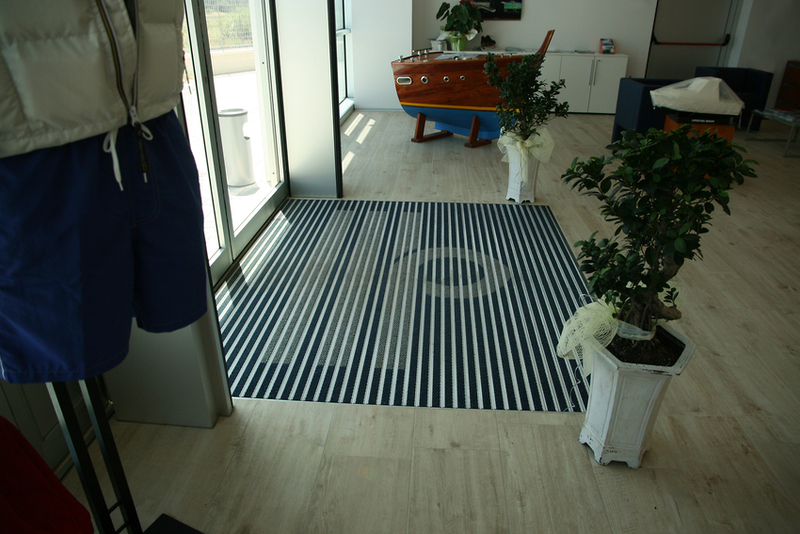 Different color strips can be mosaic handcrafted to design a logo or similar; feasibility must be checked by analysis of your logo or text. 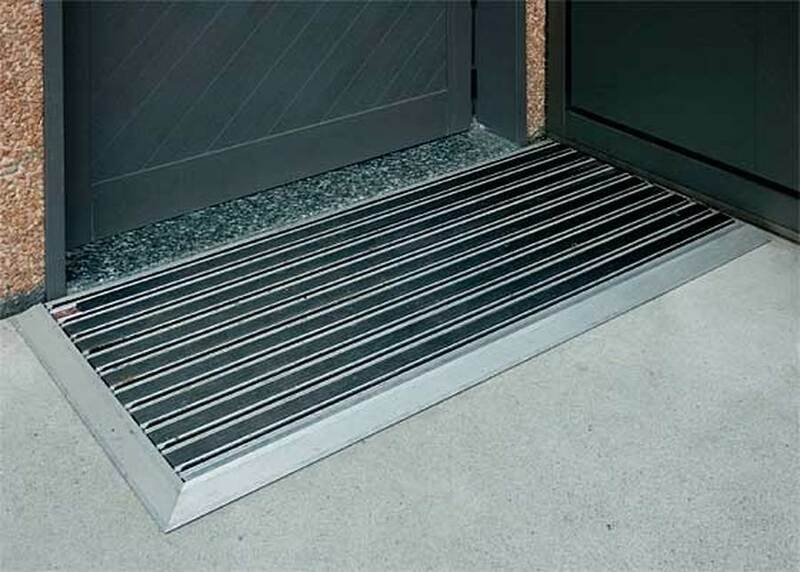 Can be used inside and even outside, if rain protected, and can be assembled combined with different coverings, as tipically the high flexibility brush, so that can afford hard dirt, but mantaining the looking of coarse grain. Fire resistent version, Bfl-s1 certified, is also available, black color only. To be requested explicitely. Technical remarque: the special production process anchoring fibers on both ends on the ground rubber, so assuming the so-called coarse grain looking, creates a strong structure, extremely resistent and able to resist to soils action, cleaning without loosing fibers. Really effective and very long lasting product. strong insert slipping preventing with knurled rubber, 1.000 grooves profile. 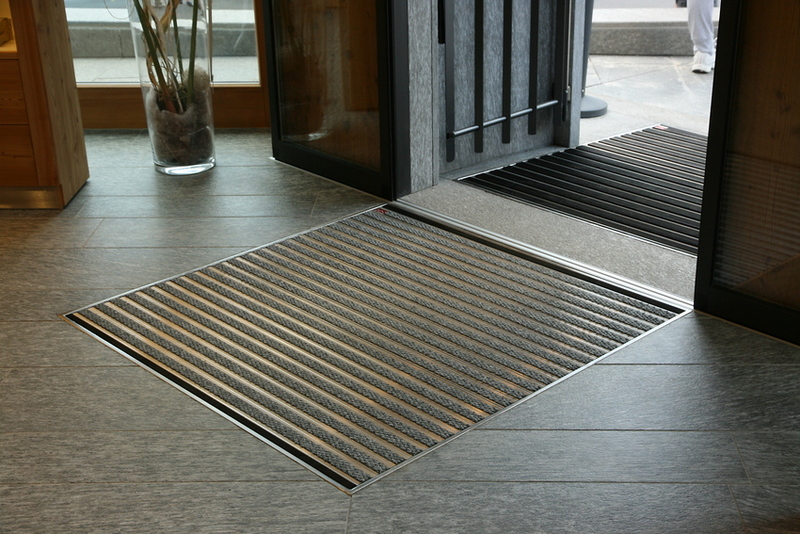 "V"profiles with sharp edges emphasize the efficacy in scrapping water and dirt. 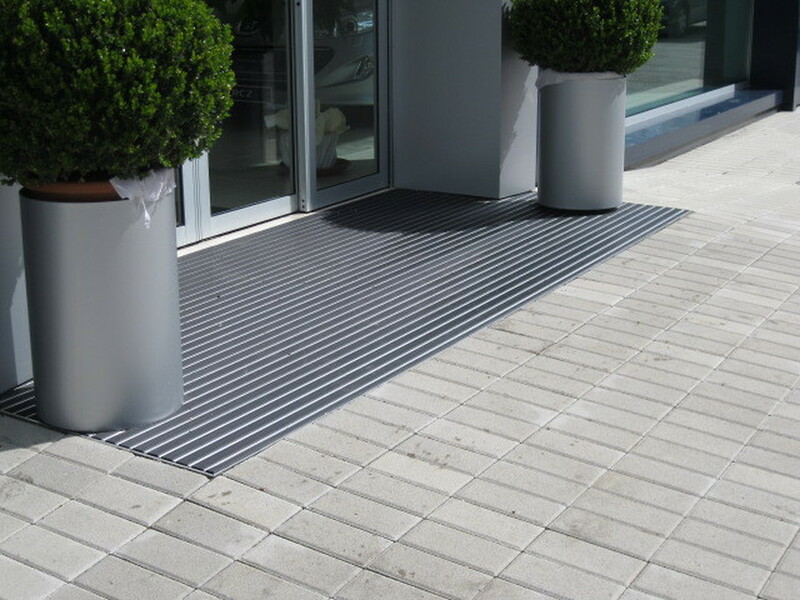 Normally used outside for mats exposed to direct rain, it'a ideal as external barrier to sticking dirt, even when covered, according to principle that as more dirt remains out, better it is. 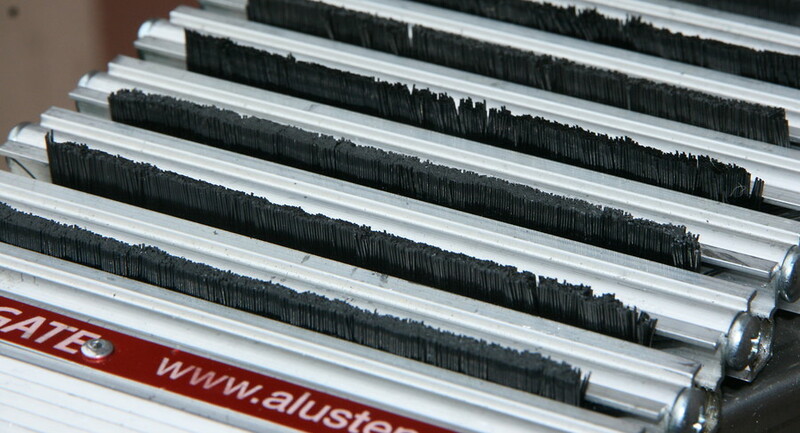 Grooved rubber insert effectiveness can be reinforced in cleaning action by coupling high-flexibility brush and rubber coverings, against snow, sand, garden earth, etc. 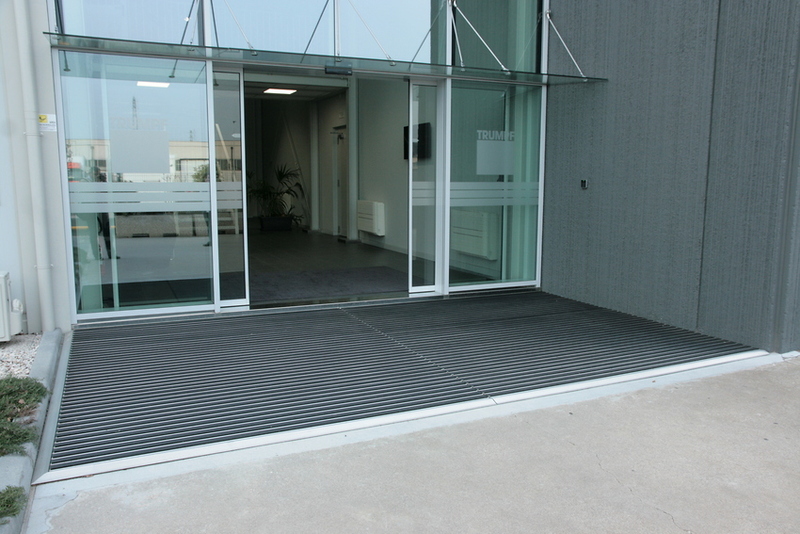 EPDM rubber is oil-proof, resisting to most severe weather, direct sunlight (UV rays) and wearing. 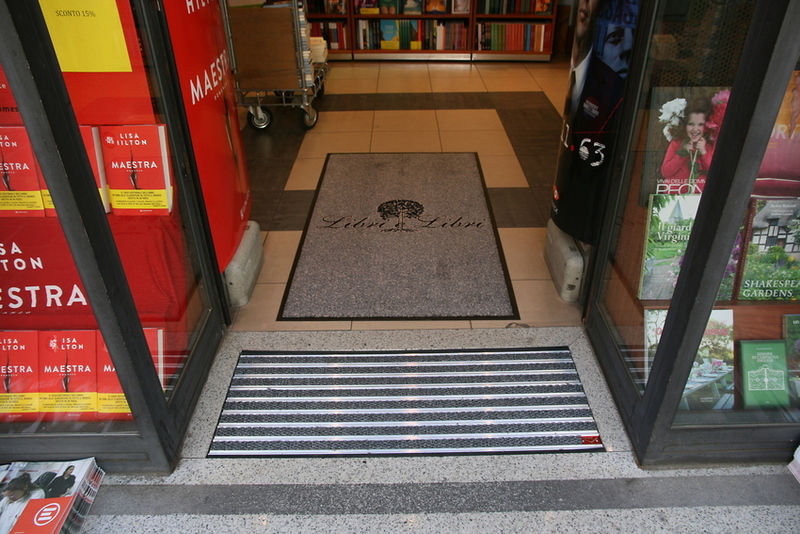 In whatever location, ouside or inside, knurled rubber is the most convenient covering for food shops where you need strong and frequent cleaning, even by direct waterjet or vapor cleaning . 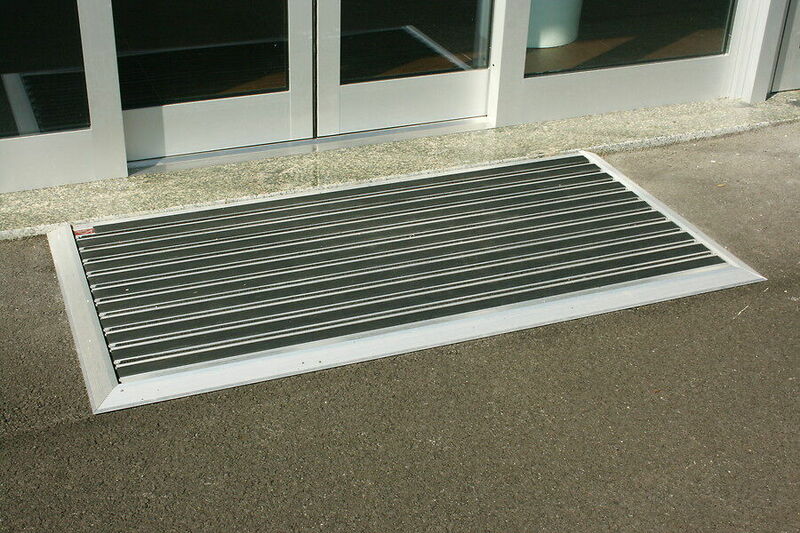 Best solution for industrial environments with chips or particles generation and spreading, to protect floors while passing from shop to offices. 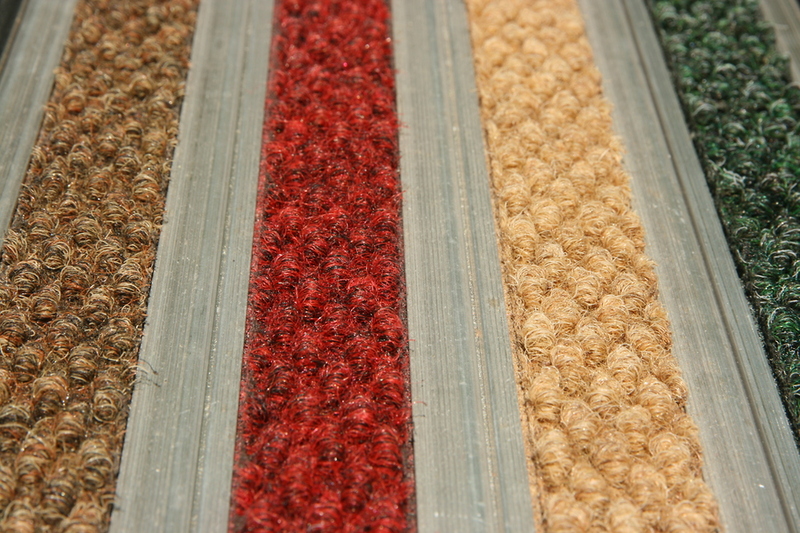 Nylon fiber extremely effective against every kind of dirt below evry kind of soil. 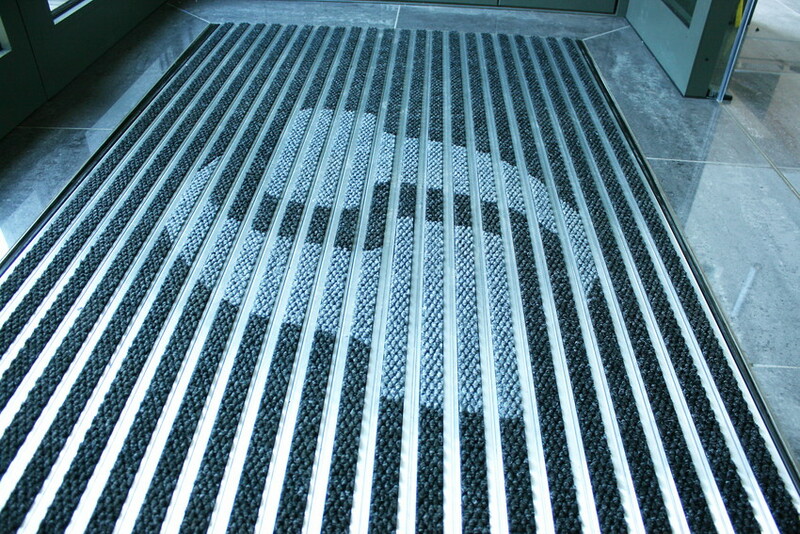 STARGATE® exclusive solution. 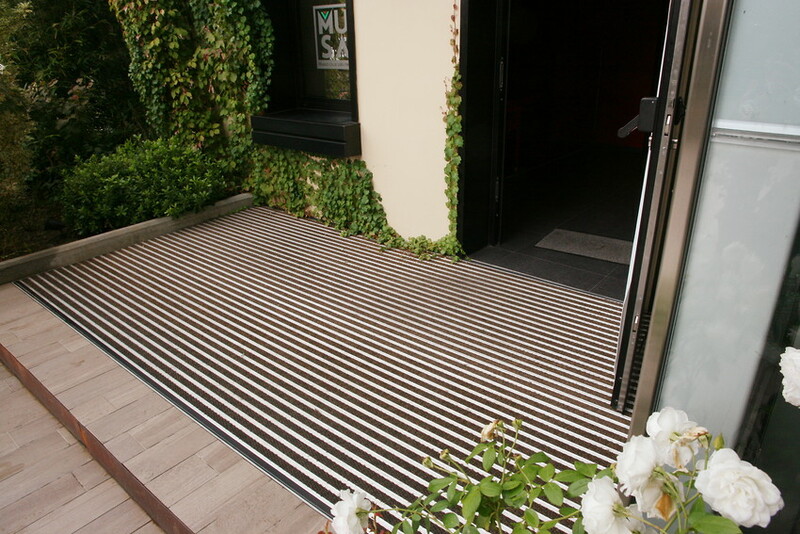 Exclusive high-flexibility brush can show its best performance in strong dirt environments, as sand & snow mix you can find on mountains in winter or sticky earth in countryside, requiring absolutely to keep out all dirt to protect floors. 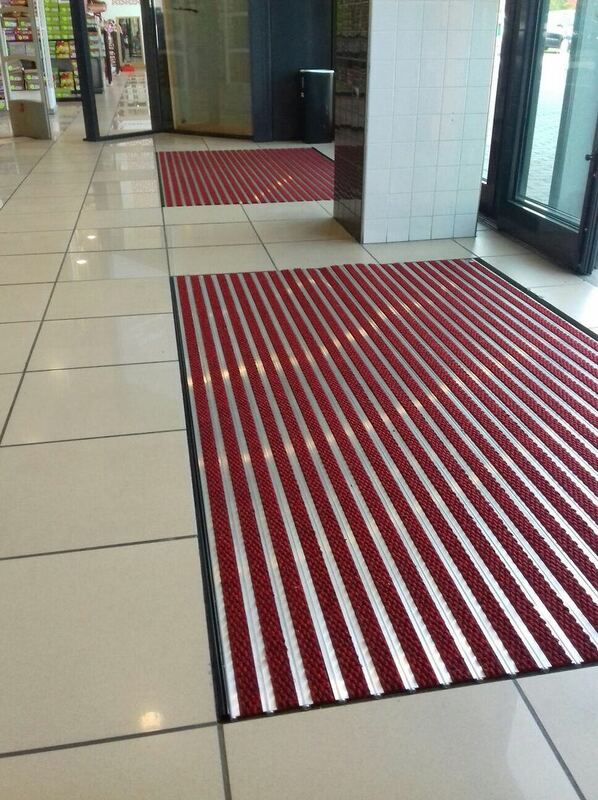 high flexibility brush is used both inside and outside, even if installation outside is suggested to emphasize its capacity to stop the most difficult dirt as sand, snow, mud, for better protectionof inside floors, so that dirt remains outside. If necessary can be supported with a further mat inside, depending from type and quantity of dirt. 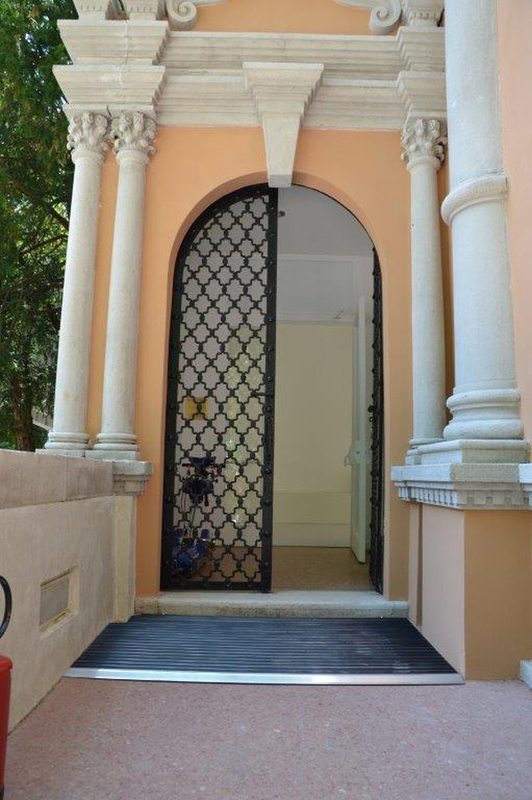 Per la sua specificità, la spazzola ad alta flessibilità è abbinabile solo a tappeti tecnici STARGATE di spessore 20 mm. 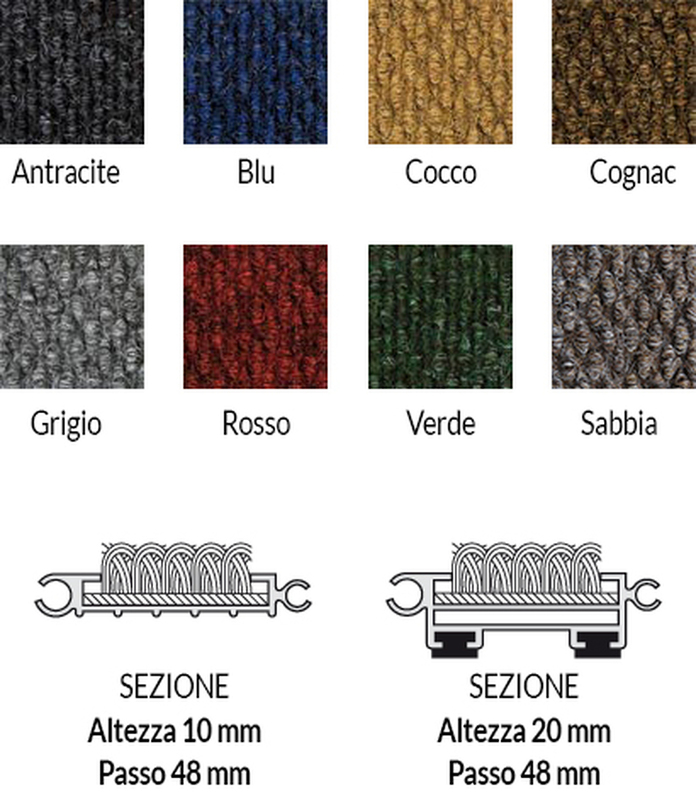 Come tutti gli elementi del tappeto tecnico STARGATE® può essere montato in varie combinazioni: tutto spazzola, cioè in sequenza serrata di soli elementi a spazzola, estremamente efficace, oppure abbinato alla moquette a grana di riso, alla gomma o all’alluminio millerighe in varie soluzioni, ottenendo la miglior combinazione estetico-funzionale richiesta; infatti per la sua ridotta larghezza la spazzola AF si può combinare con tutti i colori della moquette a grana di riso senza disturbarne il colore di fondo. Brush covering can stop every kind of dirt below your shoes thanks to its curly strong structure and 30 mm width. Can be used outside but covered or inside. To enphasize its cleaning capacity can be coupled with different coverings as thousand grooves rubber or coarse grain moquette. 4 colors available : black, gray, brown and beige. 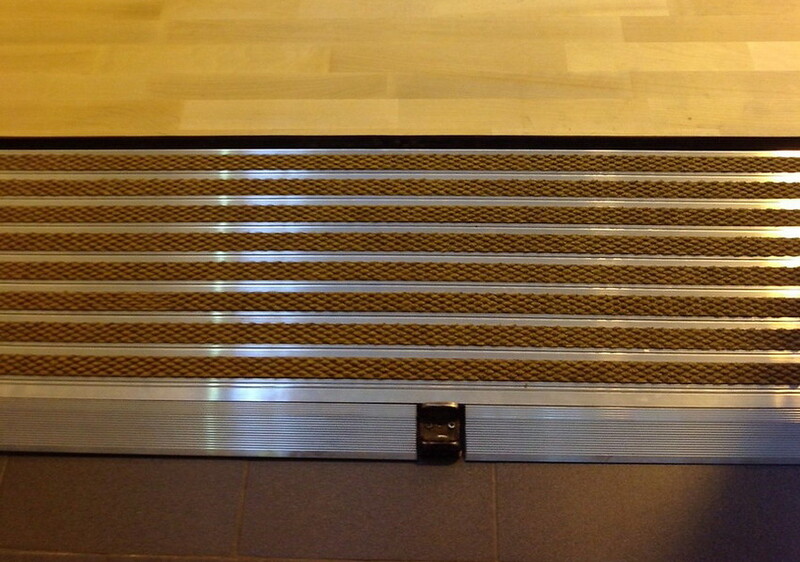 Can be used both on technical mats STARGATE® 10 mm and 20 mm thick. Ideal in passages from production plant to offices as barrier to solid remains as machining chips or small production particles that can not stick on alu surface but fall down to grooves bottom, making easy to clean the mat. Suitable for use in food shops or industrial environments, where frequent deep clening are requested, with direct waterjet even. Can be used inside or outside; its action as dirt barrier can be reinforced with high flexibility brush. 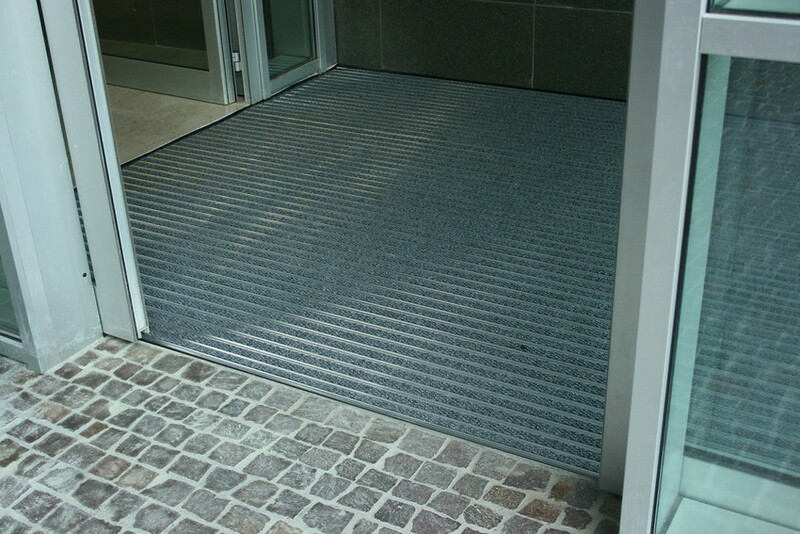 Soft moquette insert for aluminium technical mats STARGATE®, made of high absorbency artificial fibers. 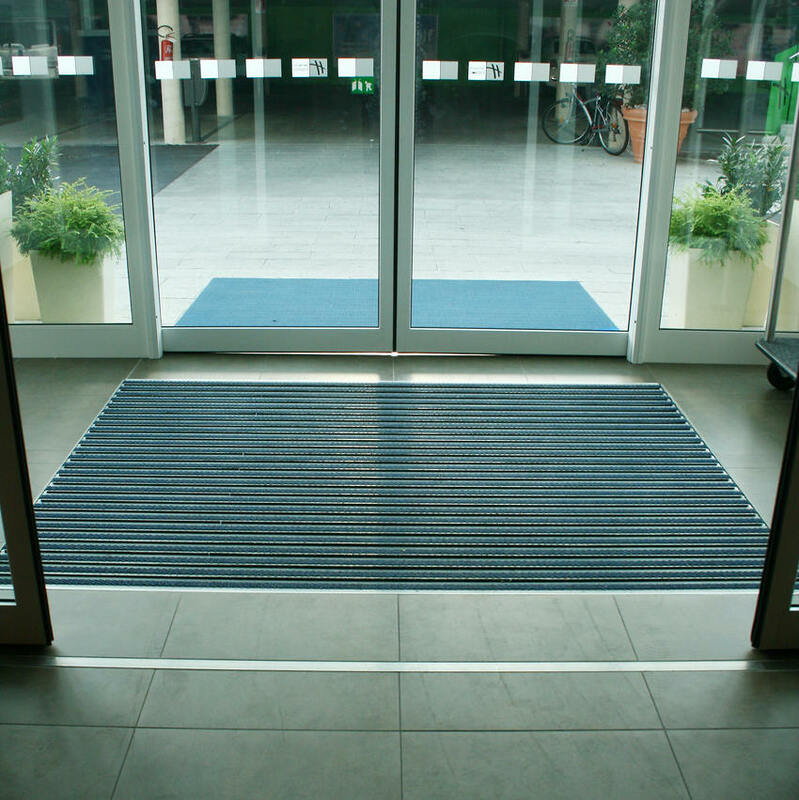 Designed for fine cleaning and footprints drying in inner rooms, these mats are normally preceded by an atrium or strong cleaning mat. 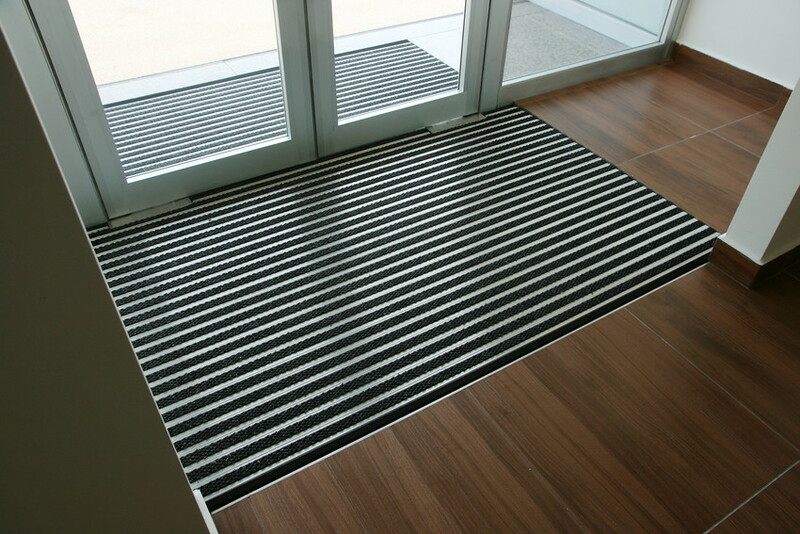 Strong drying capacity mat able to protect the floor by undesired footprints, protecting moquettes, parquet or "mirror" floors. 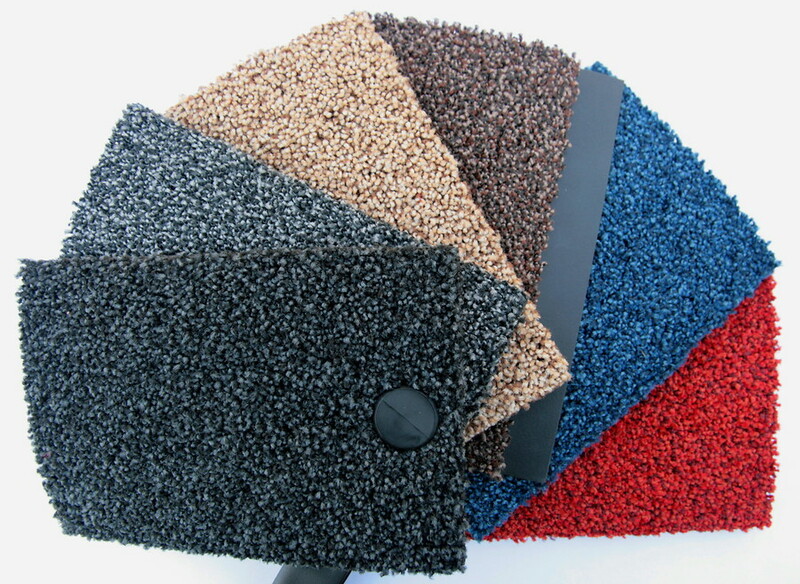 Available in 6 colors: black, grey , brown, beige, blue and red, can easily match every floor.